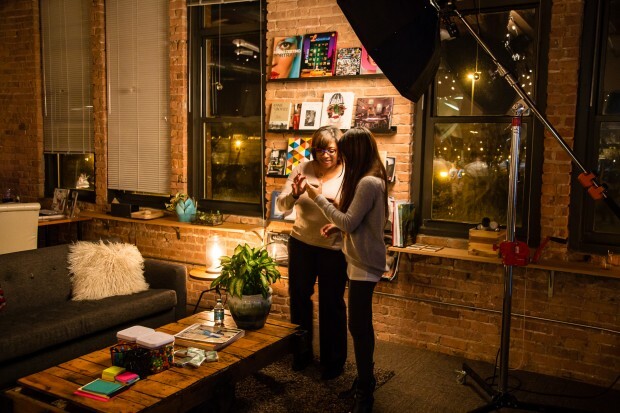 CreativeLive Connects With Community in Nashville & Chicago: Where’s Next? When you think about it, the hurdles to connect with a community have flipped. Today it’s easy to be part of a global online community. Hop on Facebook, join a group, start posting and commenting, and you’re in. Strangers become online buddies and the geographic barriers dissolve. Technology has revolutionized the way one-to-many and one-to-one personal and business relationships start and progress. But is it all progress? It seems like it’s harder and harder to meet and connect with people in ‘real life.’ Something is now missing. Why is it that the best portraits are those where you feel like you are staring into the subject’s eyes and touching their soul? Because the photographer has achieved a genuine energetic connection that is challenging, perhaps impossible, to replicate online. Photographers are reverting to film cameras and screaming at the top of our lungs for people to actually print their digital images. Polaroids and Fuji Instax cameras are rising in popularity as they are not only fun but also accelerate the satisfying result of a print-in-hand. In that same vain, CreativeLive is pushing the boundaries of how we’ve traditionally fostered community. Our thriving online global community that we’ve grown for nearly six years continues to expand rapidly. The very nature of our live classes enables tens of thousands of people to virtually participate in a shared experience. Online students can ask questions of our instructors and connect with each other in our chat rooms. Active Facebook groups with thousands of people are formed around our instructors and continue to support community-based learning long after a live class ends. Yet usually only 6-10 people are physically present as students for the live filming of our classes. I’ve found these people often have a different kind of life-changing experience. Especially when intensely filming for three days straight, they bond with the instructor and their fellow studio audience members. I like to call it “adult camp.” As a Host of CreativeLive, I’m fortunate to witness this magical experience time and time again. When I’ve asked people how the studio audience experience is different than participating online, the overwhelming answer is that the side conversations, after-hours activities, and personal connections made with classmates, instructors and CreativeLive crew are invaluable. In addition, they are able to be totally focused on the learning experience because they have to be. There is no multi-tasking with laundry, post-processing, cooking dinner as there can be while watching CreativeLive at home or work. So how do we as a company increase the opportunity for more than those 6-10 people per class to experience the cherished side conversations, after-hours activities, and personal connections with instructors and fellow CreativeLive students? We democratize the in-person CreativeLive experience by traveling to you instead of you traveling to us in Seattle or San Francisco. Building upon our Photo Week Bus Tour with stops in Sacramento and Portland where hundreds of you came out to connect, we seized the opportunity when lots of photographers and instructors were in New York City for Photo Plus Expo to put on a fantastic event at Lindsay Adler’s studio. 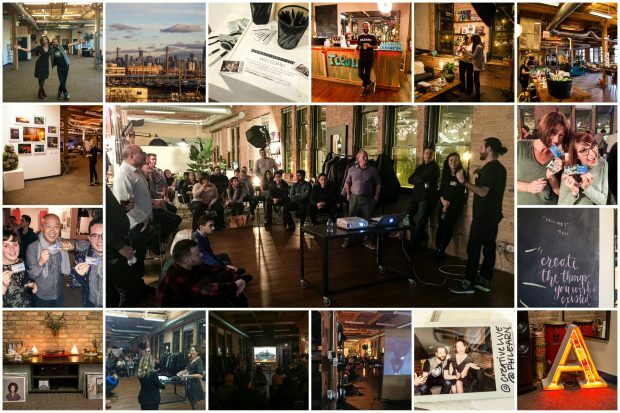 This December we continued the community tour with back-to-back events in Nashville with Jeremy Cowart and Chicago with Aaron Nace. There was no film crew, no live streaming, just in-person connections. It was incredible for me personally to hug so many people I’ve only known online and talk with people eye-to-eye instead of keyboard-to-keyboard. I learned some important lessons from the photography communities in both Nashville and Chicago to bring back to the CreativeLive home base. My biggest takeaway from Nashville, other than Southern hospitality, is that collaboration over competition breeds a vibrant creative community. 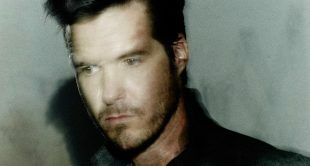 We were honored to have Jeremy Cowart, hailed as one of the most influential photographers today, give an inspiring multi-media presentation to our more intimate gathering that he’s delivered to 10,000+ person audiences at conferences. 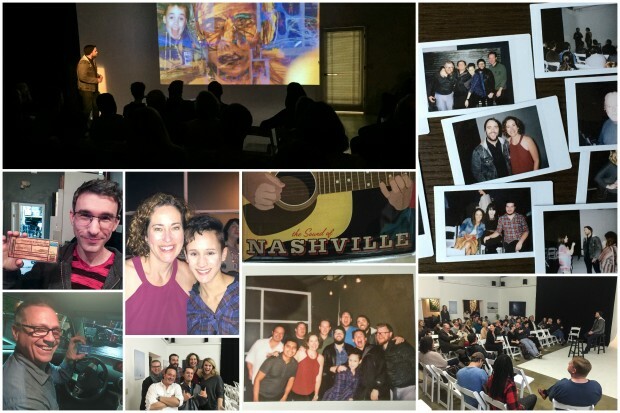 We held the Nashville event at Westlight Studios, a member-based rental studio that’s truly a supportive family. While many of the members are commercial photographers often bidding for the same jobs, they compartmentalize business with friendships and personal/professional growth. They taught me that when you are all aligned without a sense of cut throat competition, there is an abundance for an entire community to thrive. During our Q&A session with Jeremy, he turned the tables after sharing his future dreams and asked the crowd to share their own dreams. After some awkward silence, a brave soul Blake Johnson stood up and shared a new business idea that he had yet to speak about in public. Blake has been part of the CreativeLive community for years and drove 350 miles to Nashville from his home in South Carolina to join us and meet Jeremy Cowart. Talk about courage! Listening to Blake, I realized that in its truest sense community is a safe space to push through personal fears because you are confident that those around you won’t judge you, but rather will support you. 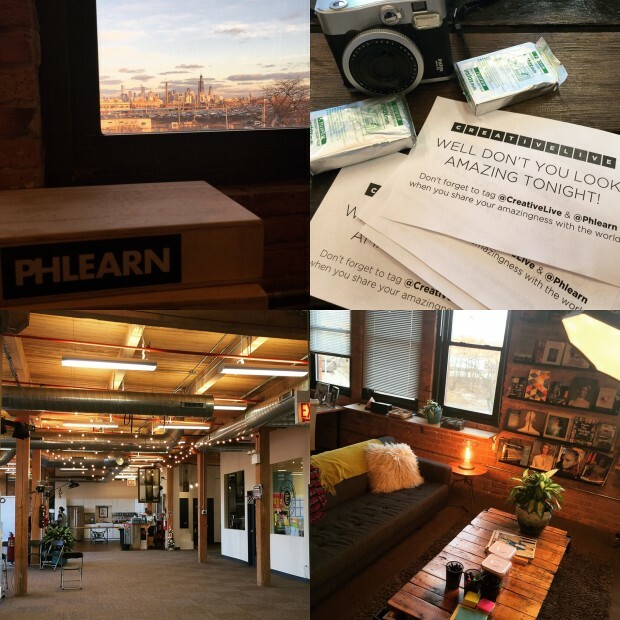 The next day we flew to Chicago to team up with Aaron Nace at his Phlearn studios. Walking in the door you can feel the creativity flowing throughout the space. Everywhere I looked there was an innovative detail that made me smile. I’ve hosted Aaron’s CreativeLive classes in our Seattle studios, however I’d never seen Aaron in his own working space. I realized how much value there is seeing first hand how imaginative minds design their environments to set the stage for them to be their most creative selves. The energy was palpable and there were all kinds of surprises as we toured the studio. If you’ve ever seen Aaron’s meticulously composited images, you know he has to get in a zone to work sometimes hundreds of hours on one image in Photoshop. People walked away with ideas about how to infuse creativity into their own work spaces. I was thrilled the Chicago CreativeLive community could come together to share in these discoveries. I overheard sparks of synchronicity and facilitated the unearthing of ‘six degrees of separation’ connections. People were proud of themselves for coming to the event despite not knowing anyone else that would be there. That’s growth, and that is exactly what connecting with community in person is all about. Many people told me they were delighted and grateful that we chose their city as a destination for our community tour and that they feel closer to CreativeLive as a result. I was honored to travel beyond our studio walls, look people I’ve known online for years in the eye and hear all of your wonderful stories in person. Thank you to everyone who came to the events. I can’t wait for more in 2016! Do you want CreativeLive to visit your community? Nominate your city in the comments and let us know what photographers you want to meet in person!